What is the date of the race? You can register HERE. Online registration opens on November 15 at 5:00 pm and will end at 11:59 pm on Wednesday, May 22, 2019 (no exceptions). How old is this race? This is the fourth year. The marathon course is USATF certified. Do I get a T-Shirt? All runners will receive a quality 100% poly T-shirt. Don’t need another shirt? You will have the option of declining a shirt and receiving a discount on your registration. 5K races: The 5K race in Charlevoix will start at the intersection of Michigan Ave and West Dixon Ave at 8:00 am. 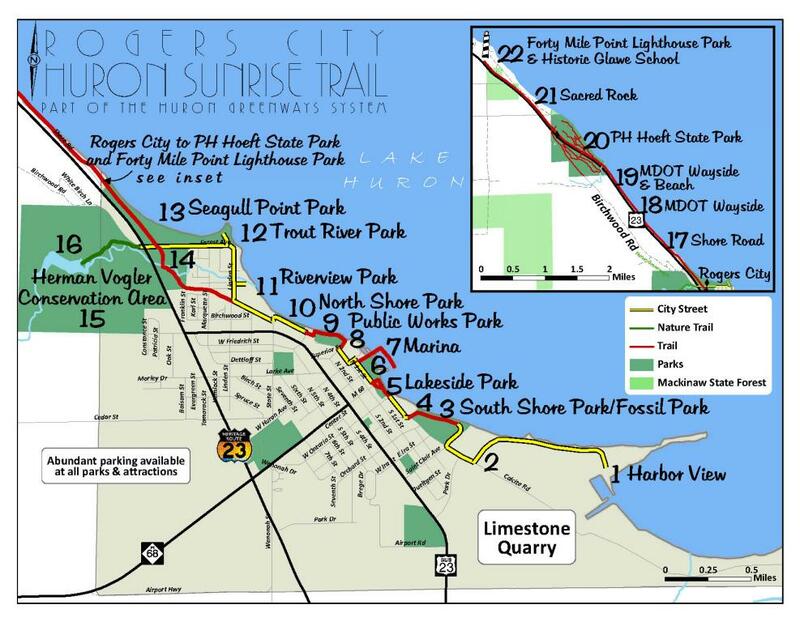 The Harbor Springs 5K will begin in Zorn Park, West Bay Street, at 8:30 am. The two 5K races will be run out and back on the marathon course from the start (Charlevoix) and from the finish (Harbor Springs). Marathon, Half Marathon and 10K races all end at Zorn Park Beach on West Bay Street in Harbor Springs. This beautiful finish area provides runners with a chance to cool off after their run by taking a dip in the Bay. What is the weather like in late May? The average temperature for May 25 is 63 degrees for the high and 46.5 degrees for the low. However, be prepared for colder, wet conditions as well as warmer than expected conditions. Be prepared for anything! Is there a course map? The Wheelway is a re-establishment of a turn-of-the-century bicycle trailway that goes from Waller Road in Charlevoix to Hoyt Street in Harbor Springs. 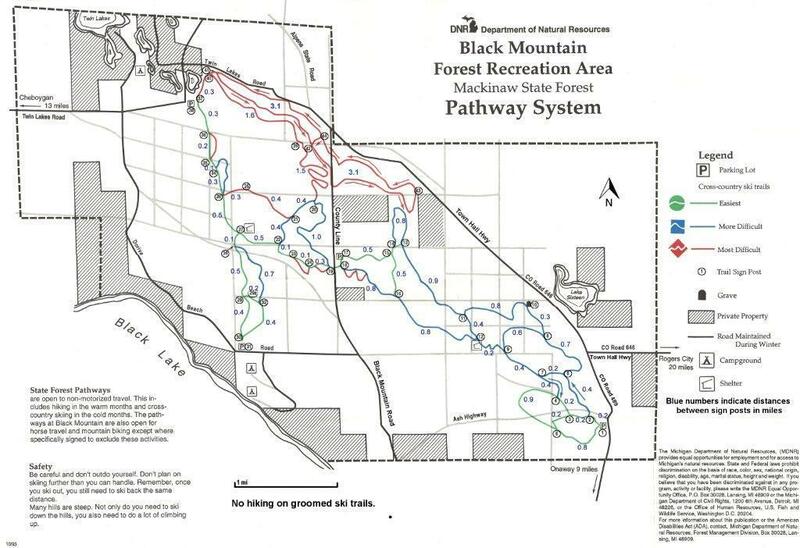 The trail itself is 23.4 miles and is surfaced with 8’ to 10’ wide asphalt or a 6’ wide concrete sidewalk and is open to non-motorized uses only. For this race, road connections extend into downtowns, for a total of 26.2 miles. 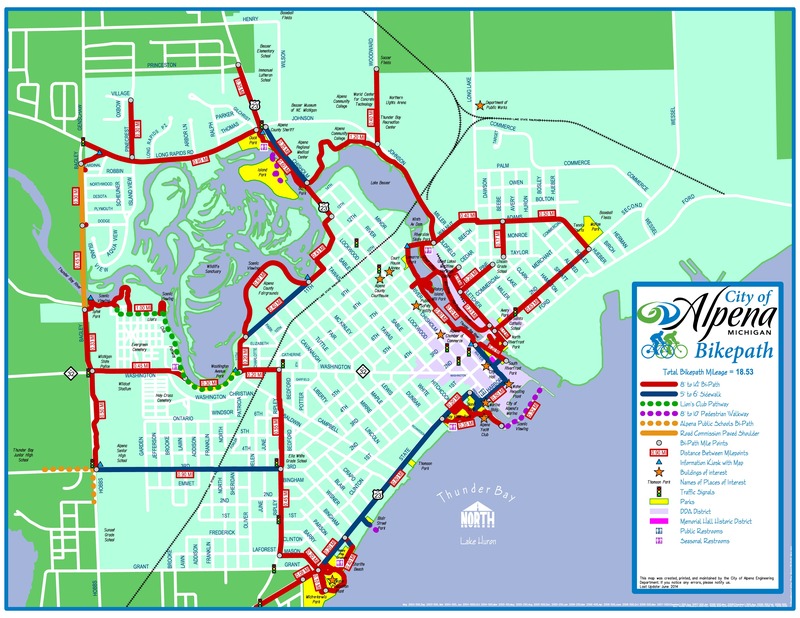 A small portion of the marathon and half marathon will be on a grass surface through Bay View, to avoid vehicular and pedestrian traffic through that community. 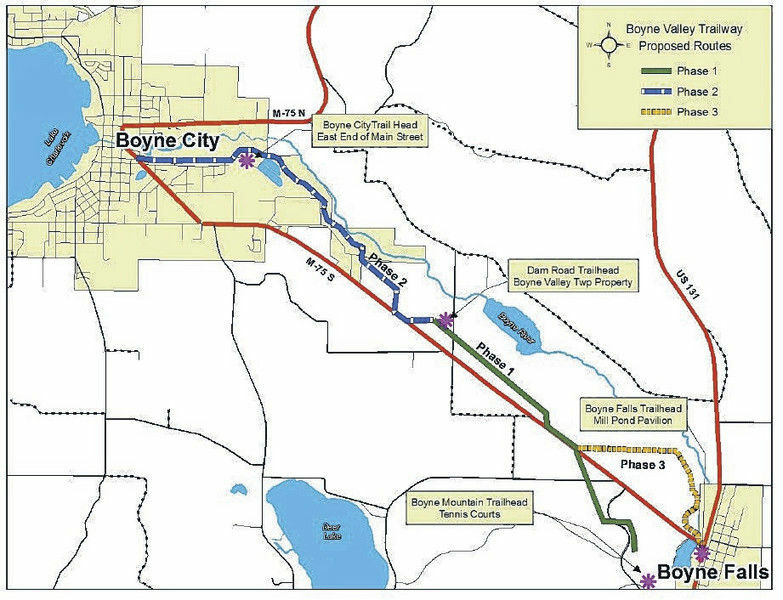 The route veers off the Wheelway north of Petoskey at Beach Road, and follows local roads through a scenic resort area along the bay. The Trail is relatively flat and prime for running a fast time. The Half Marathon and 10K are run on this same course. The Half begins in beautiful downtown Bay Harbor, and the route connects with the Wheelway at East Park. The 10K begins at the Top of Michigan Trails Council headquarters at 1687 M 119, which is located on the Wheelway course. Is the course closed for traffic? No, it is open. There are many road crossings–many minor and a few major–along the course. Runners must be aware that traffic will not stop and they must be extremely cautious, as they will have to stop and yield to oncoming traffic. We will have crossing guards at major intersections, but runners must be aware and cautious approaching all intersections. Is there a cut-off time for the Race? Yes, cut-off time is 1:30 pm, so marathon runners will have six hours and 30 minutes to complete the race; half participants will have 5 hours and 30 minutes. Runners on the course after that time must provide their own support. What should I bring with me to the race to help finish and have a good time? Yes, if you are participating in the Full or Half Marathon, bag drop will be available. Bags will be tagged when dropped off at the start and will be available at the finish line. Can I have stroller, jogger or dog on the course? Yes, but you MUST be aware of your surroundings at all times and this includes being able to hear any verbal warnings/instructions from course officials, the sound of any other participants on the course approaching you to pass, and traffic at the road crossings. Will this race be professionally timed? Yes, with the exception of the Charlevoix 5K. The timing equipment will be provided by Superior Timing. There will be a timing mat at the halfway point of the Marathon. Results will be posted immediately at the finish line. If I am injured, pregnant or unexpectedly out of town, can I get a refund? Entry fees are non-refundable and entries are non-transferable. This means once you have registered, you will not receive a refund if you cannot participate. You may not defer your entry to the following year. The race will go on rain or shine. Why haven’t I received an email confirmation? Usually the problem is that your computer’s spam filter has erased or blocked the email confirmation that was sent to you. Please make sure that you check your spam filter. The race will benefit the Petoskey High School cross country, track and soccer teams; as well as Top of Michigan Trails Council, a 501 (c)(3) charitable organization whose mission is to advocate for and facilitate the establishment of a multi-use non-motorized trail system in northern Michigan. TOMTC was instrumental in getting the Little Traverse Wheelway built. Marathon Runners: There is ample parking in downtown Charlevoix. Shuttles will be available before the race if you wish to park in Harbor Springs or Petoskey. A shuttle will be available from Harbor Springs or Petoskey in the morning. Check at registration for details, but do indicate when you register that you will need a ride. Half Marathon Runners: Park in the lot immediately to the north of the main entrance to Bay Harbor. It is a short walk to the start line. A shuttle will be available from Harbor Springs or Petoskey in the morning. Check at registration for details, but do indicate when you register that you will need a ride. 10K Runners: Parking is NOT available at the Packy Offield Trail Center. Please park at b. may bags, 1922 M 119, Petoskey (just north of the Trail Center, on the East side of the road—watch for signs and park on the SOUTH side of the building, leaving room in front for their customers). A shuttle will be available from Harbor Springs in the morning. Check at registration for details, but do indicate when you register that you will need a ride. 5K Runners: Parking is available throughout Charlevoix and Harbor Springs. Watch for details (pickup locations and times) in the spring! Medals will be presented to finishers of the Marathon and the Half Marathon. Our ability to obtain a permit next year will depend on leaving the course as we found it. No trash on the trail, please. Cups and papers at aid stations should be dropped within 50 yards of the station or carried to the next station. The nearest regional airport is Traverse City (TVC) (90-minute drive) and the closest major airport is in Grand Rapids (GRR) (three-hour drive). There is also a regional airport in Emmet County in Pellston (PLN) (25 minutes from Petoskey). Do you recommend any places to stay? Packet pickup for ALL races will be held in Charlevoix on Friday, May 24 from 12 pm to 9 pm. There will be a race kickoff party in Bridge Park (on Bridge Street) from 5 pm to 9 pm that day, including music and a delicious pasta dinner (provided by Lake Charlevoix Brewing – $10 for registered runners, $15 for everyone else). You’ll want to be where your fellow runners are all together, getting pumped up for Saturday! Take the time to explore Charlevoix, check out one of the three beaches in the city limits, wander down to the lighthouse to enjoy the sunset, make a day of it! If you are unable to make it to Charlevoix on Friday, there will be an opportunity to pick up needed items immediately before each race on race day, but we suggest early pickup on Friday to make for a calmer experience before your race. Are there restroom facilities along the course? Restrooms/porta-johns are available in the start areas, at some of the aid stations and at roadside parks along the course. Please see the pdf map for restroom locations. Where can my family/friends find me for photos along the course? See the interactive map for road crossings. Please do not park on US 31, as this is a busy state highway. The aid stations all will have parking available nearby. West Park, East Park, Magnus Park and Bayfront Park all are good choices. On the Harbor end, there is a safe parking area by Aid Station #12, at the intersection of Beach, Fern and Pennsylvania. Will medical personnel be on hand? Physicians and nurses will be on hand for the entire event for your safety, in case of an emergency. Who do I contact if I’d like to volunteer? Please contact Sue at 231.348.8280, or email info@trailscouncil.org. A lot of quality volunteers are needed to make this race come together! Copyright © Top of Michigan Trails Council - Connecting Northern Michigan by Trail. Site Developed by Abuzz Creative.